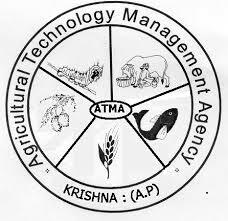 Krishna District Agriculture Technology Management Agency (ATMA) Recruitment Notification 2018.Krishna District Agriculture Technology Management Agency (ATMA) inviting applications for the positions of BTM & ATM.Interested and Eligible candidates can apply for the positions. Applicants must be completed post graduation/ graduation with relevant fields and relevant experience from the recognized organization / Board. Applicants can download the application form from the official website http://jdakrishna.blogspot.com/and attach all relevant documents applicants send to the given below address. Project Director, ATMA, Door No: 40-25-77, Beside Sri Venkateswara Kalyana Mandapam, Patamata Lanka, Vijayawada – 520010.